Sixth Sense MD Sallyann Keizer and Founder of Intelligencer Jacky Parsons headed to the Children’s Global Media Summit in Manchester to share their initial findings from our study using facial recognition software to learn about how young children engage with live-action content as viewers. The presentation revealed some surprising results, challenging gender stereotypes and conventional notions about the kind of content that will attract the most attention and emotional engagement from young audiences. Check out our research page to find out more. Sallyann and Jacky shared the stage with some of the leading figures from the media industry as well as HRH Duke of Cambridge. 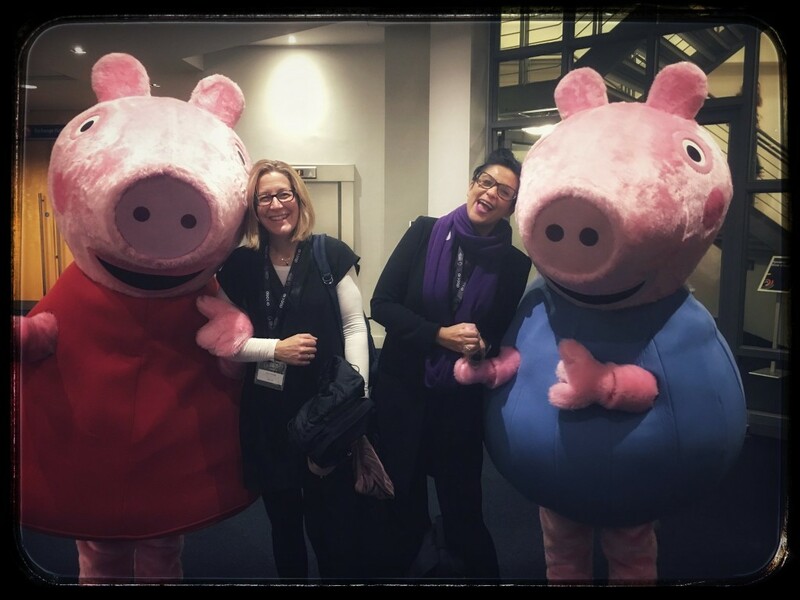 There was also time to catch up with one of the most popular characters at the conference for a photo – including Peppa Pig!